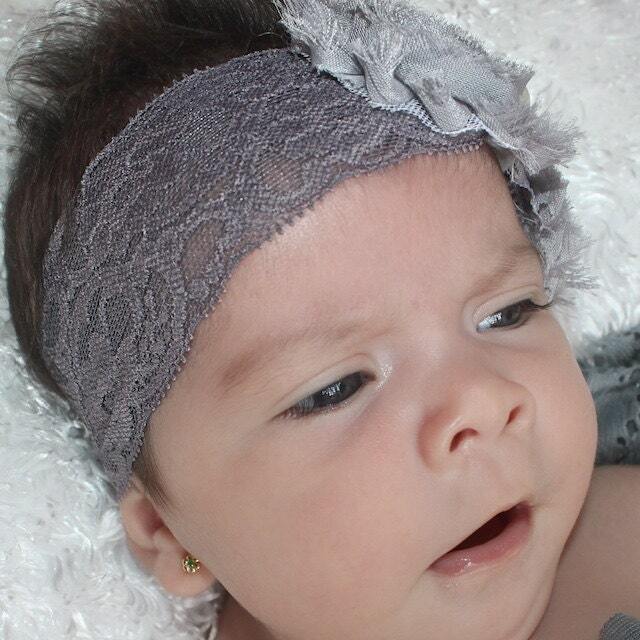 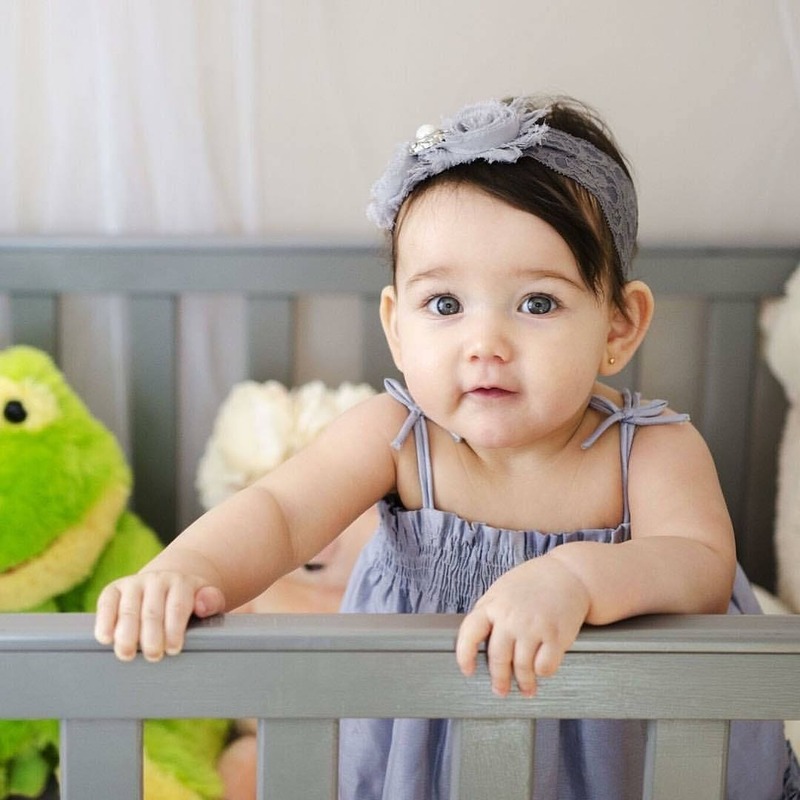 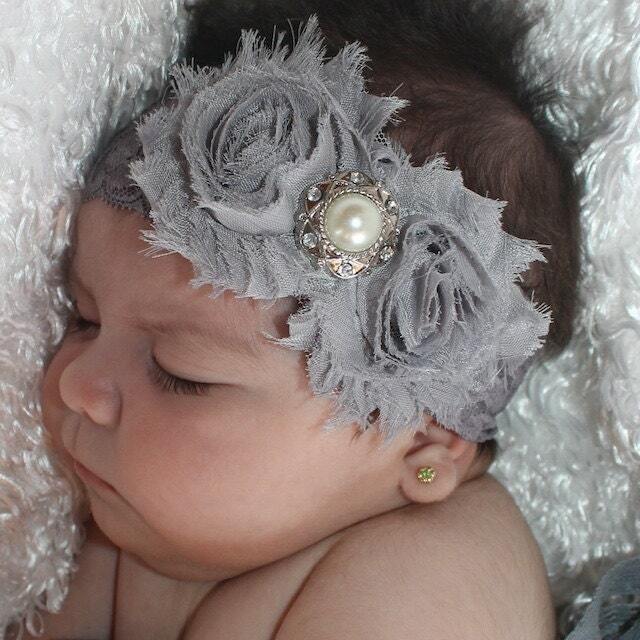 This Venerable Gray Lace Baby Headband has 2 flowers and a Rhinestone. 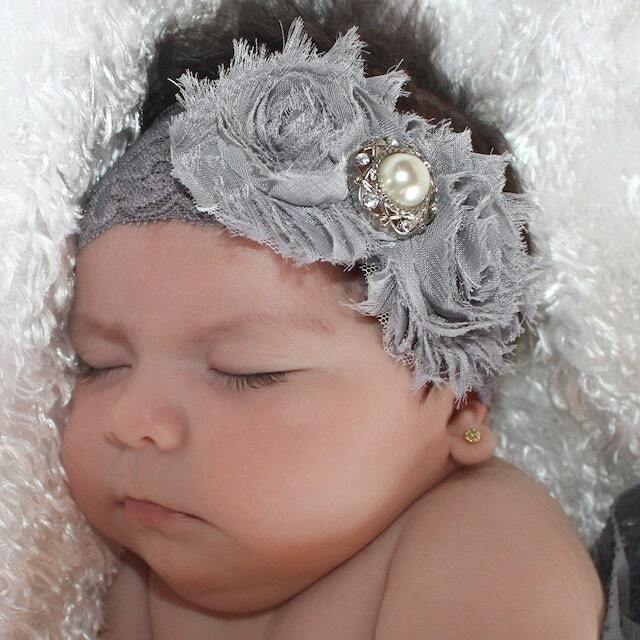 It is perfect for any occasion, like weddings, baptisms, birthdays or just for any day. 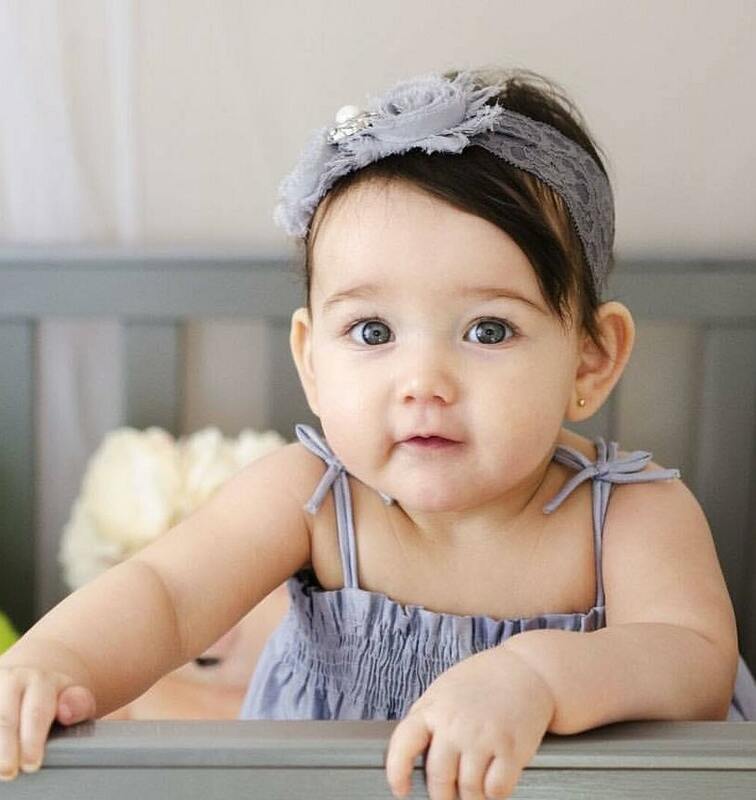 It is made of gray elastic lace for a perfect fit. 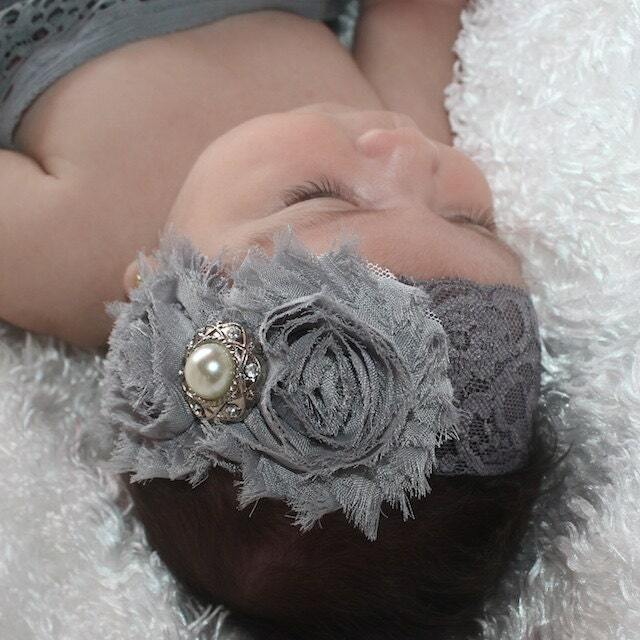 This was just as described, can't wait for my baby to wear this!